Beautiful words, beautiful cake, beautiful table, beautiful tribute. Happy Mother’s Day. I am sure you have made your mother proud. It looks beautiful. Such a lovely tribute to your Mother. The china is gorgeous and so is your cake. Great job with the rosettes. 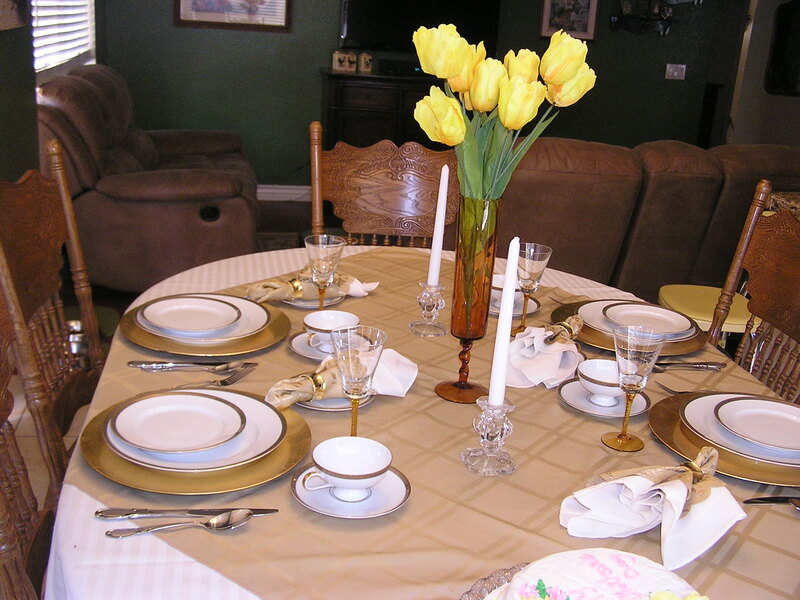 A lovely tablescape and a great tribute to your Mom. 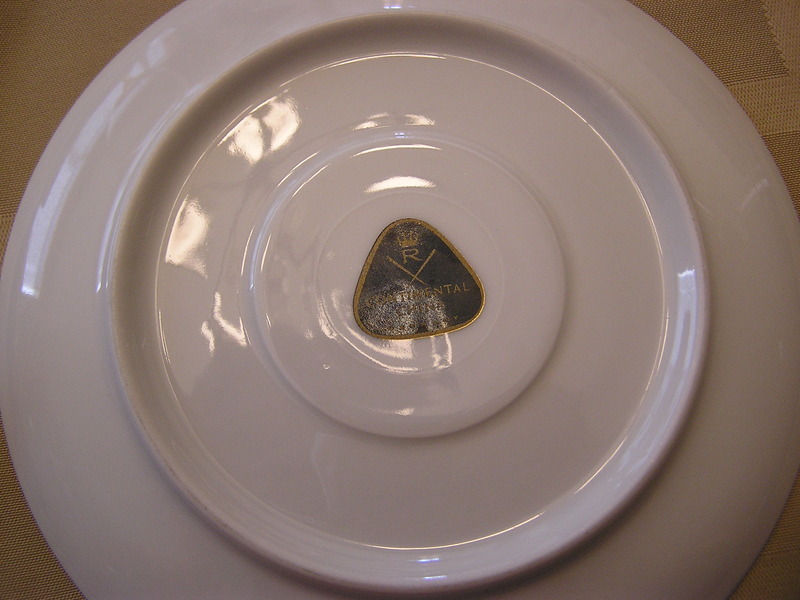 You are fortunate to have her beautiful china. You never cease to amaze me, Ellen! 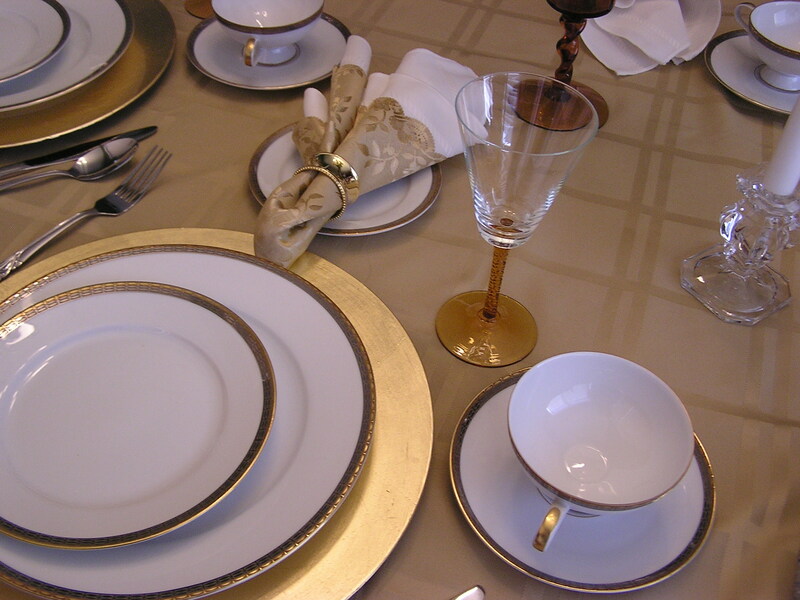 What a gorgeous table…and I love it that your Mom’s china are the theme. Hello from another Ellen! 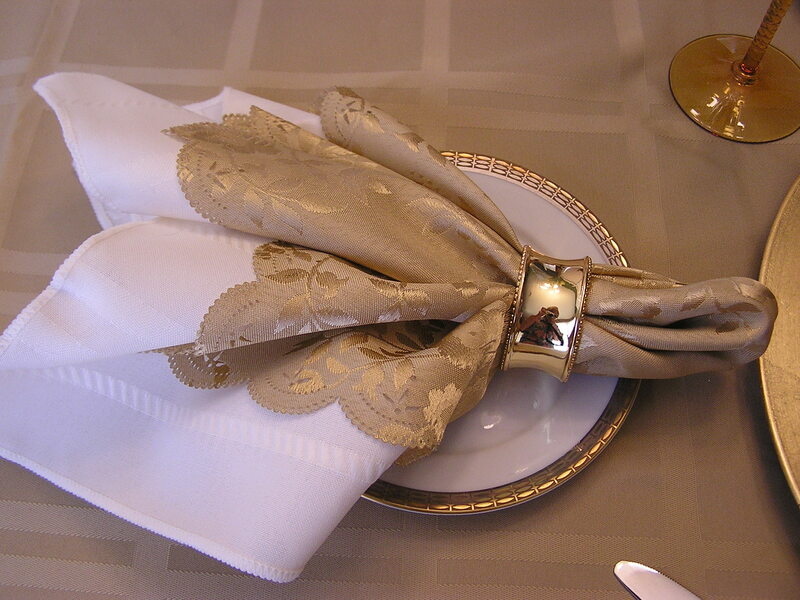 Oh no…you’ve caught the tablescape bug. It really is a catchy bug for sure. Enjoy! I bet your Mom is smiling! She has to love such a great honor! 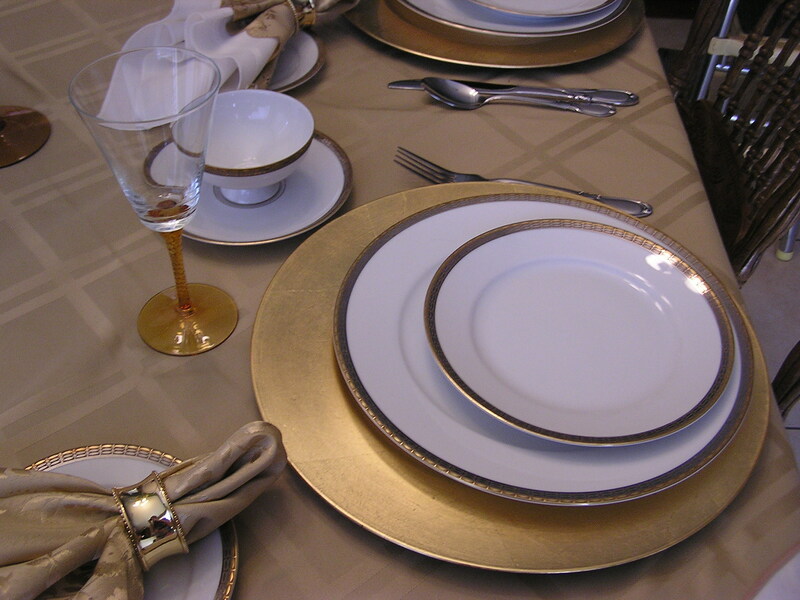 The plates are Gorgeous and I LOVE the napkins,and stemware!!! It all looks like it belongs together ! 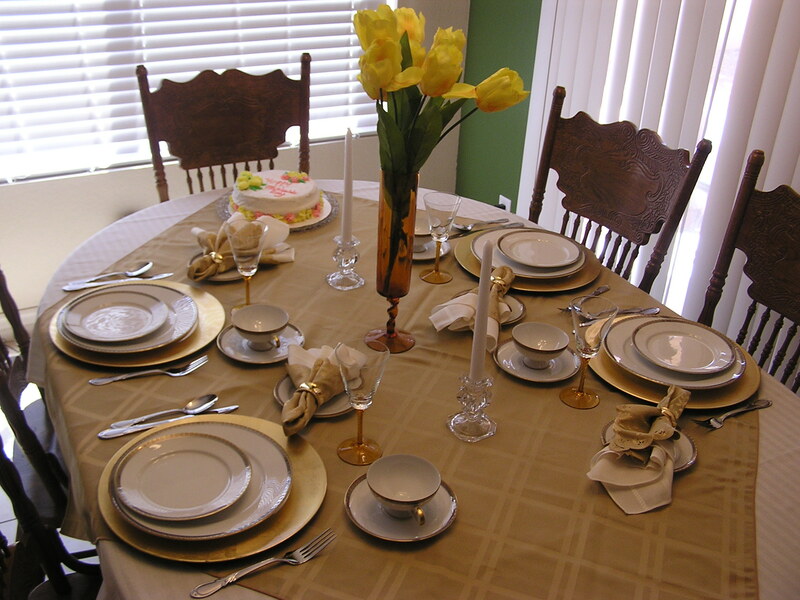 What an elegant tablescape and a beautiful tribute to your mom! I bet your mom is smiling and watching over you all the time. The cake looks so sweet and yummy! remembering your mom- such a beautiful tribute! Moms live in our hearts forever. Your table is fantastic. So is that china. I am amazed at the things you have found at Goodwill. Ours always is so packed out with people I never find anything. Thank you your comment really touched me today. I love all your white and gold treasures! 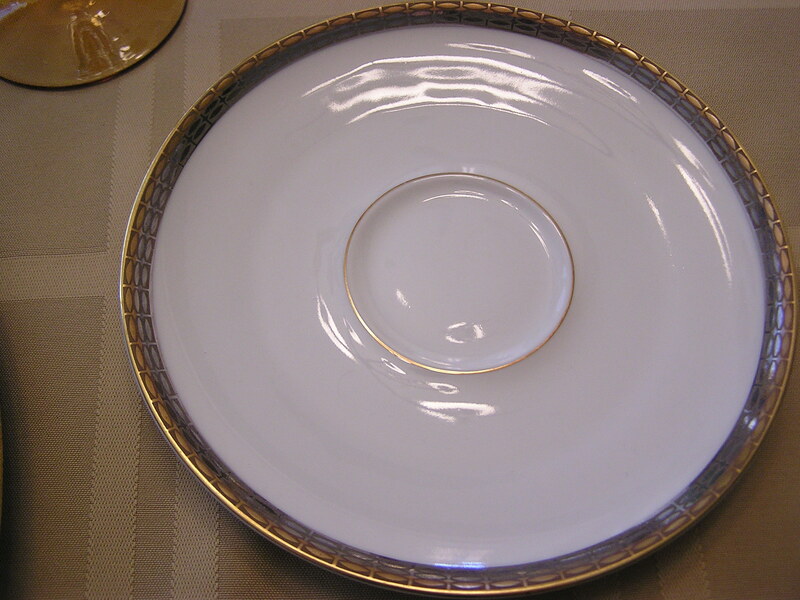 How special to have your mother’s china and remember her setting special tables with it all your life! Your cake is gorgeous! 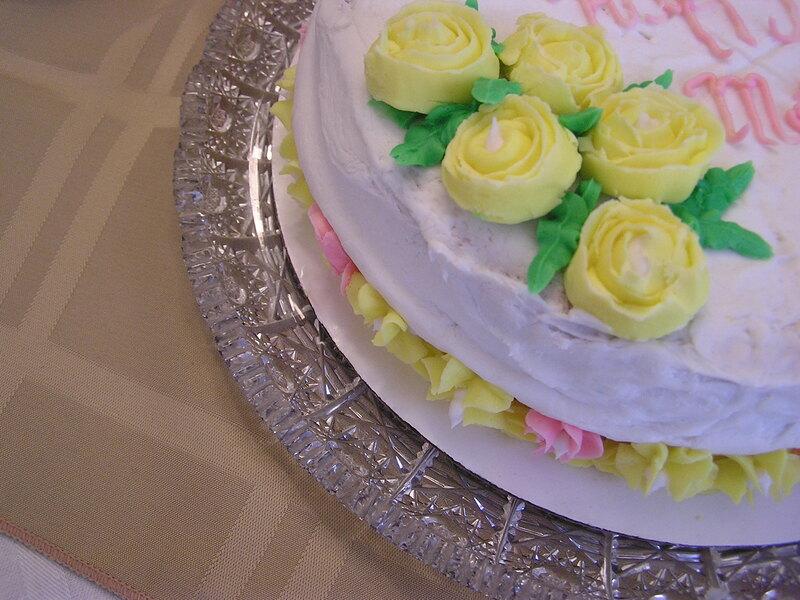 Looks like you’ve mastered icing roses! Oh how this post speaks to me. I miss my mom more than on mother’s day. Mine has been gone ten years now and I can see her in my mind like it was yesterday. Miss her dearly. Your memories are the best, how totally wonderful, sweet friend. 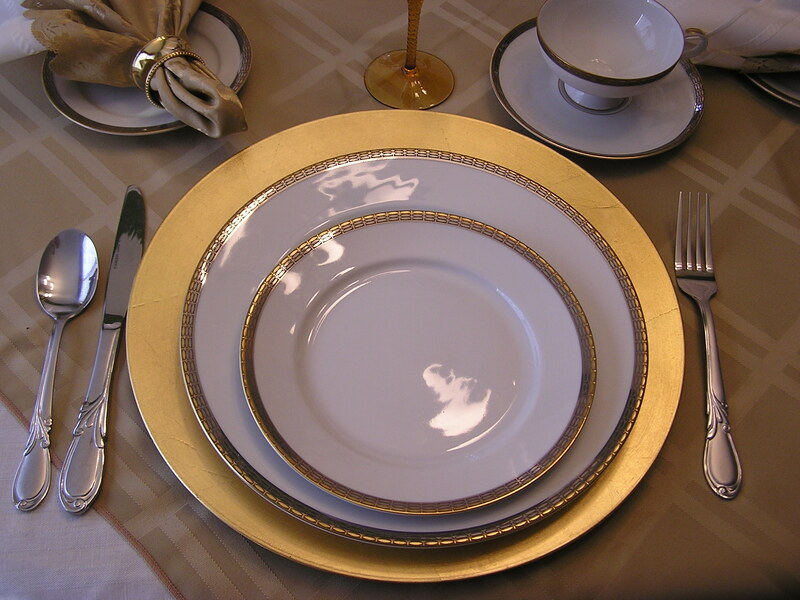 Beautiful china from your DM and you just made a gorgeous tablescape to honor her, she must be watching her lovely daughter. 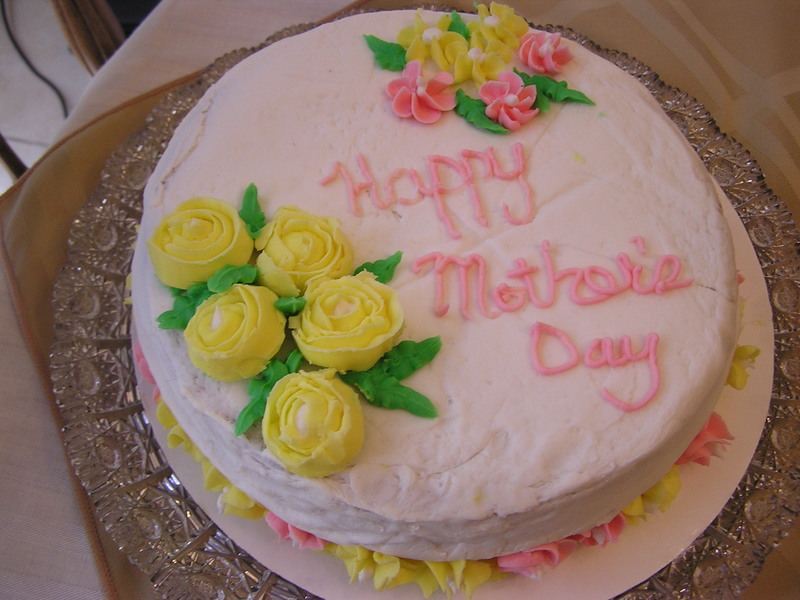 HAPPY MOTHER’S DAY ! Hi Ellen! 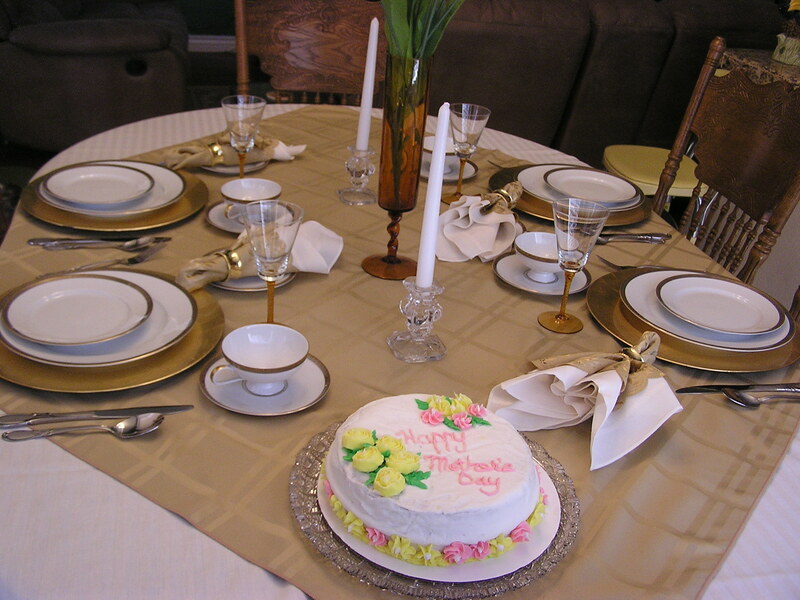 Oh, what a lovely table you’ve set for Mother’s Day! Your mother sounded like a marvelous little lady. 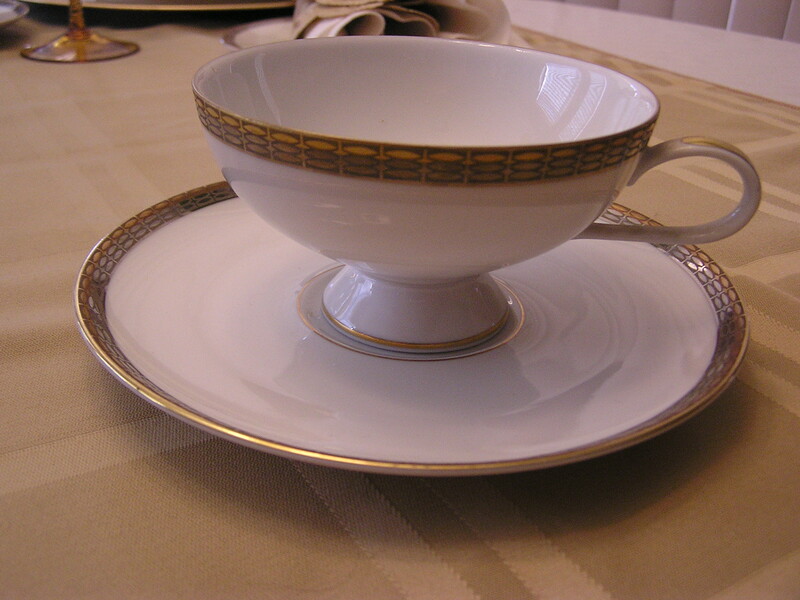 Her china is just beautiful and I love how you’ve done your napkins. 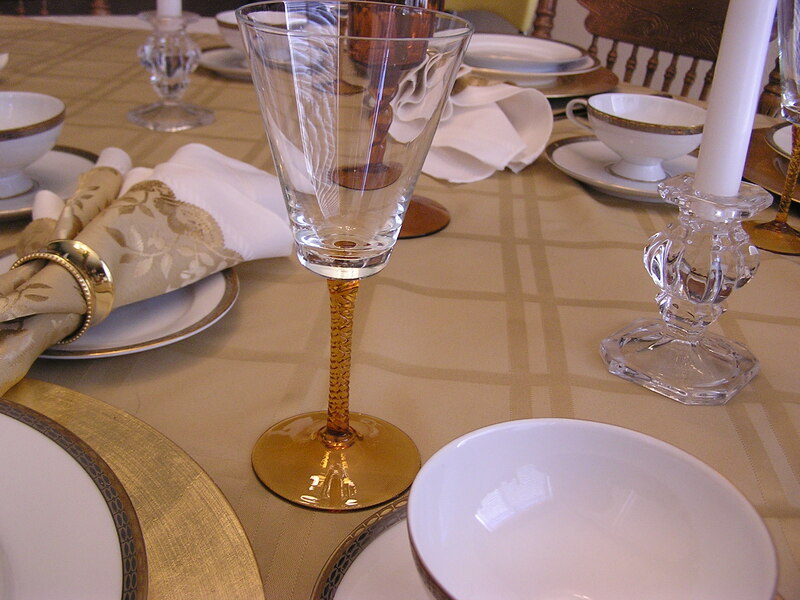 The stemware and your flower vase match! How pretty. 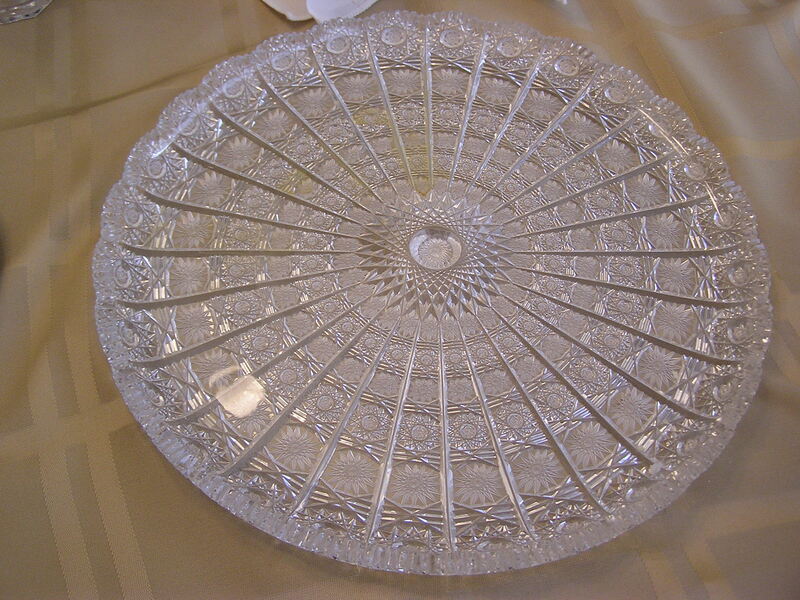 You mother’s cake plate is amazing and the cake is so pretty and looks delicious. Lovely table, Ellen. Your cake looks delicious! What beautiful china!! Everything matches so well, you did a fabulous job!! I love shopping at Steinmart! Thank You for stopping by and leaving me such a sweet comment on my Mothers Day Tablescape. I hope you have a wonderful week!